Senior Resource Group (SRG), an innovator in the retirement industry and developer of the upscale Maravilla at The Domain in Austin, located at 11001 Austin Lane and scheduled to open mid-2019, today touted National Senior Citizens Day, a day that recognizes senior citizens for the contributions they make in communities across the United States. It is observed annually on August 21. ‒ Start looking before the need arises. 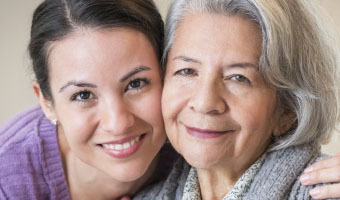 A good place to start is to ask family, friends and valued advisors, such as a trust officer or estate attorney, for recommendations and help with researching retirement communities. Social circles, professional resources, senior directories, local newspapers and the Internet may also yield helpful information. 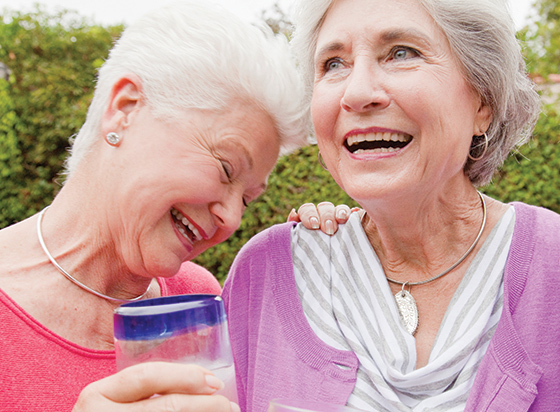 ‒ Decide which type of senior community best fits your needs. Acquaint yourself with the various senior living options available, their requirements, and the services and care each of them offers. From continuing-care retirement communities, which require upfront entrance fees, to rental communities that offer similar services with the flexibility of a monthly fee, there is a community to fit every budget and lifestyle. Narrow the list by considering location, care services, amenities and activities. Working from a checklist and matching your preferences and needs to those offered is a good way to achieve your goal. ‒ Visit the community. Tour retirement communities in your chosen area to best evaluate your options and get a feel for their ambience, friendliness and hospitality levels. Visit for lunch or dinner to sample the dining services, or attend a community event or social. There are numerous low-key, fun-filled, no-pressure opportunities to preview the community and visit with residents. You can often arrange a one- or two-day guest stay to truly experience the social, cultural and operational workings of the community. ‒ Does the community offer a continuum of care? While transitioning from a house to a retirement community can be challenging, the timeliness of that decision can make all the difference in its success. Waiting until the need arises often leads to a hasty, short-term decision that fails to meet your long-term needs. Be sure the community you select offers access to a comprehensive menu of licensed supportive care and services on-site to meet your personal needs both today and tomorrow. Many older adults wonder if a retirement community makes good sense financially. When compared with the monthly expenses and upkeep of a house, they often spend less per month and gain countless additional benefits by moving to a retirement community. To help make this very personal decision, Grust suggests taking stock of what it actually costs you to live in your home and compare the total to the cost of the senior community you are considering. Many communities, including Maravilla, have a “Compare the Value Worksheet” to help with this task. You may also schedule a meeting with one of SRG’s senior living specialists for guidance in deciding which retirement lifestyle, floor plan and care services best match your needs and budget. Located in the heart of The Domain’s residential area, Maravilla at The Domain will be an elegant, state-of-the-art, continuum-of-care senior living campus for residents age 62 and older. Capitalizing on The Domain’s live-work-play environment, the 370,000 square-foot development will offer 230 residences – a mix of 142 independent living, 54 assisted living and 34 memory care residences, and associated services and amenities, including access to an on-site rehabilitation center. The multi-level community will be comprised of an 11-story South Tower, six- and seven-story Central and North Towers, subterranean parking, courtyards and a swimming pool – all just steps away from public transportation options and the upscale shopping and dining of Austin’s most exclusive entertainment district. Like SRG’s 32 other senior living communities, Maravilla will boast hospitality-focused services, amenities and innovative programming, including 12-hour restaurant-style dining, theater, library, bistro, Internet lounge, wellness center, and a host of other special indoor and outdoor spaces designed to balance and complement an active lifestyle. More than 200 employees will be dedicated to offering residents the finest quality service and care. Maravilla will attract individuals and couples seeking opportunities for vibrancy, socialization, stimulation and interaction in an upscale, contemporary environment. Maravilla homes will be offered on a monthly rental basis, with a vast array of services and programs included in the fee. Construction of Maravilla at The Domain is well underway, with the grand opening scheduled in mid- 2019.